We run the ten week puppy socialisation course (see below for details), incorporating the Kennel Club Good Citizen Dog Scheme (GCDS) Puppy Foundation Award. 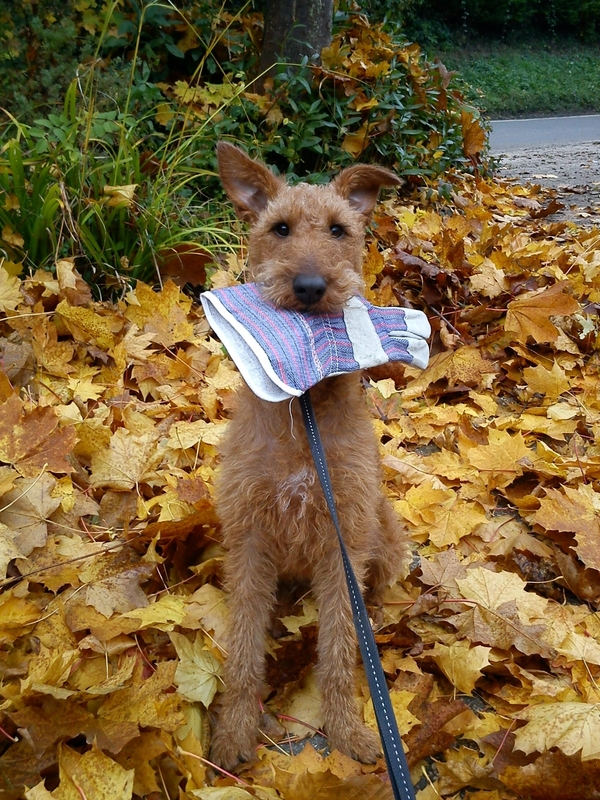 Completion of the Puppy Course will prepare you for the Intermediate and Advanced Classes with the opportunity of working towards and taking the Kennel Club Good Citizen Awards. Puppies, like young children are so eager to learn, and learn they will, be it either self-taught or by cues and instruction from us. Here at “Chippers” we have designed our Puppy Socialisation Course with this in mind. Using reward based methods, we will show you how to motivate and encourage your puppy to achieve a good level of basic obedience training, this incorporated with learning and understanding the importance of how puppies learn and develop and why they do the things they do. Awareness of all these aspects will allow you to encourage the behavior you want and stop unwanted behavior developing, giving you the best chance of producing a happy, contented and well mannered companion. Rosette and certificate on completion. – Liver Cake recipe from Chipper’s Pantry! Building on the foundations that you laid in the Puppy Course, developing basic exercises, leadership skills and introducing new exercises. Working towards the Bronze Good Citizen Tests, taking of the test is optional. More new exercises, continuing to strengthen established exercises with added distractions. Working towards the optional Silver and Gold Tests. 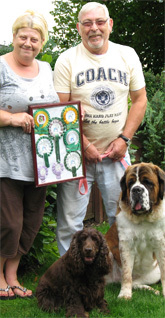 Bev and Andy Stevenson, Louie the Cocker Spaniel and Nana the St Bernard with their awarded Kennel Club Puppy Foundation, Bronze, Silver and Gold Good Citizen Dog Scheme rosettes.